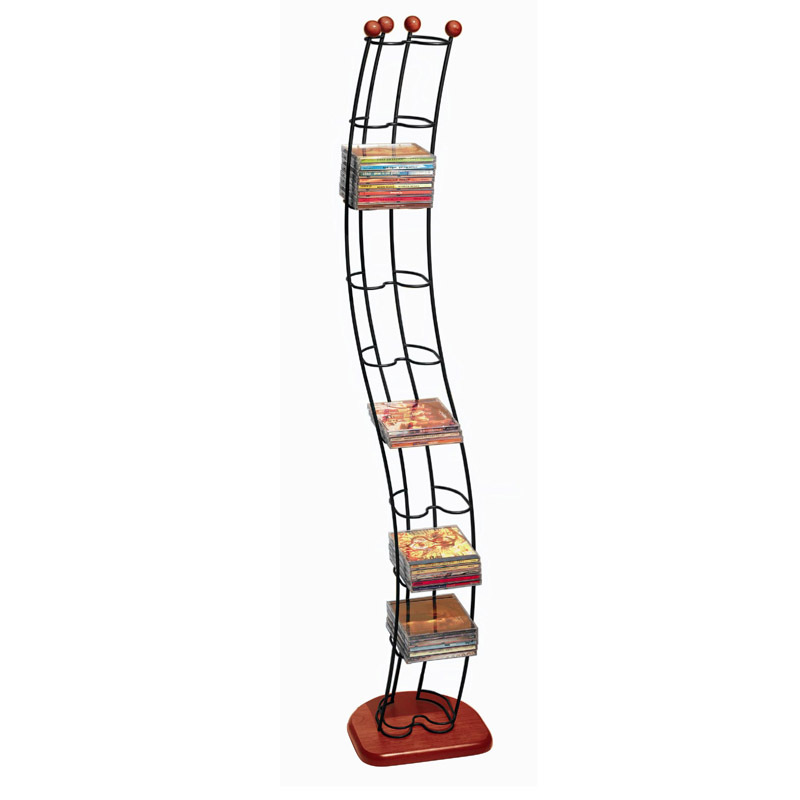 More on the Atlantic Wave Series 110 CD Steel Storage Tower (Black with Cherry Wood Base) 1316 below. Multimedia unit accommodates all media sizes and types. Beautifully hand painted and finished base provides optimum stability. Steel tube construction for optimal durability. Vertical design provides ultimate in space-saving solution. Organic curved wire design accents and enhances your home décor. Angled wire shelves allow for optimal title viewing angle. Accommodates up to 110 CDs.